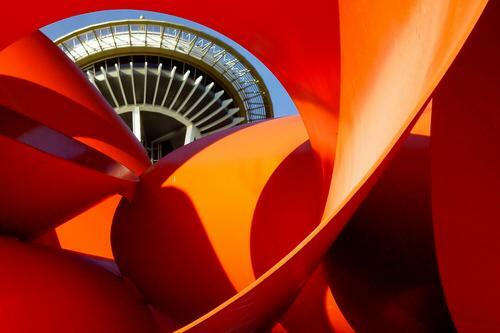 'Needle in Red' by Tim Jensen - DPC Prints! This is a view taken through a sculpture at the Space Needle at the Seattle Science Center in Seattle, Washington. This photograph originally appeared in the Curves Challenge.